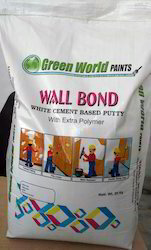 Pioneers in the industry, we offer wall coat wall putty bag, block bottom packing bags, wall putty block bottom packing bag, wall cure putty bag, wall putty packing bag and wall putty laminated bags from India. In order to retain our goodwill in this industry, we are providing an array of Ready Made Putty Bag. These bags protect the packed fertilizers and pesticides from being getting damped, leaked and radiated by UV rays. The offered bags are designed under the management of our experienced professionals using outstanding quality polypropylene film with the assistance of cutting-edge techniques. 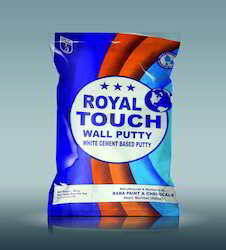 WALL PUTTY Block Bottom Packing Bags. 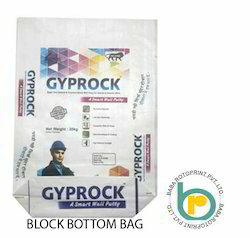 Being one of the trusted organizations in the market, we are affianced in providing a wide range of Wall Putty Block Bottom Packing Bag. We provide bags with gussets as they are very useful while stacking in super markets or warehouses and they also occupy less space while transportation, these bags are offered with two types of printing, one is normal gusset printing and another is center gusset printing. The offered range is available in different sizes and other related specifications, to meet needs of our prestigious clients. 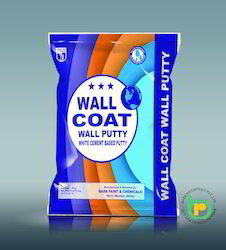 We are counted amongst reckoned names in the industry, committed towards manufacturing a broad gamut of Wall Cure Putty Bag. These are made from high quality raw material due to which they are used in both national & international markets. The offered bags are designed under the supervision of our experienced professionals, who uses finest grade polypropylene film materials with the aid of prints. Additionally, these bags do not impart any odor to the products that make them ideal for storing different types of material with ease. 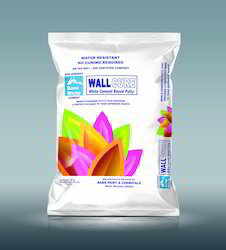 Leveraging on our experience, we trade and supply a wide range of Wall Putty Packing Bag that is a flexible packaging and cushioning material for various products. We can offer these bags with BOPP Multicolor printed and laminated on single side as well as both sides. We can match the stitching thread same as the bag design & art work. Besides, we provide this sheet in various lengths and at market leading prices. Being the foremost names of the industry, we are engaged in providing an exclusive series of Wall Putty Laminated Bags to our honored clientele. Experts employ the advanced techniques to make this product. Furthermore, professionals source the input from genuine dealers of industry. Due to high demand, this product is available in the market in diverse patterns.